No matter the outcome of Barcelona’s appeal against Neymar’s ban to the Court of Arbitration for Sport, Luis Enrique and his players are ready for Sunday’s Clasico. The three-match suspension dished out to the forward following his recent sending off in Malaga should have ruled him out of Sunday’s match, but his club are appealing and there is a chance he could yet feature. “It doesn’t matter what I think,” Luis Enrique said in his pre-match press conference when asked if he was optimistic of having the Brazilian available. “I am prepared to play the match with or without Neymar. “The club’s position of defending itself and its players seems correct to me. For Barcelona, this fixture is hugely important in the LaLiga title race and their coach admitted it is a final as he previewed it. “It is a match which is special in many ways, for the stage of the season we’re in and for the fact we’re playing the eternal rival and current leader,” he said. “This is a decisive round as the LaLiga title race could be determined or it could be left wide open. “There’s no doubt that this is a final for us. “We’ll consider the result afterwards to see if the LaLiga race is over or not. The Asturian also insisted that he was optimistic of securing all three points, pointing to past victories in the stadium. “We have shown over the years that we can win there,” he told reporters. “It is a factor which stadium the match is played at, but it is also a stimulus for us. 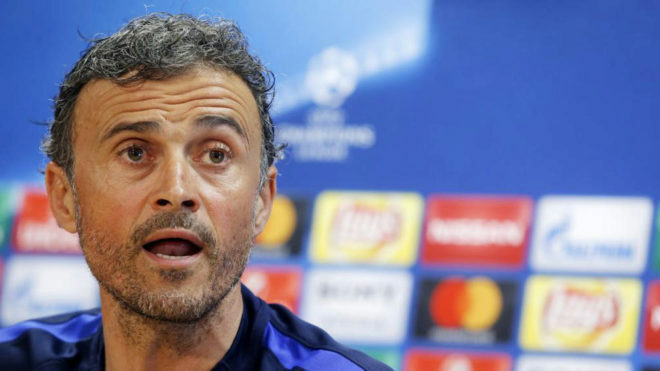 Asked how Wednesday’s Champions League heartbreak at the hands of Juventus will affect the players, Luis Enrique was adamant that they’d be sufficiently focused. “There is enough morale, of that there is no doubt,” he said. “They are professionals of the highest level and are ready to pick themselves up. Real Madrid take a three point lead into the match, which kicks off at 20:45 CEST, while they also boast a game in hand.